Find Myofascial Release Therapists in Indiana. 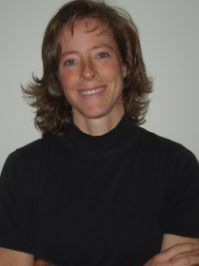 Marcia, physical therapist and personal trainer since 1993 and 2001 respectively, specializes in John F. Barnes myofascial release. She is available for treatment in Poland, Indiana. Authentic John F. Barnes Myofascial Release (JFB-MFR); a full-body, hands-on technique developed and refined by John F. Barnes is now just a phone call away! JFB-MFR releases the fascial system - a 3-D web that connects and surrounds every muscle, organ, cell and system in the body - from head to toe! Through physical and emotional trauma, past accidents, repetitive motions, repetitive positions and the inflammatory process, fascia can shorten and solidify, causing restrictions that can produce up to 2000 pounds of pressure per square inch on any body structure. These restrictions can lock us in a straight jacket of immobility, swelling, pain and debility. A JFB-MFR therapist who is aware and centered treats your entire body, helping to remove the straight jacket of restriction, decreasing the crushing forces, decreasing pain, increasing function, circulation and cellular nutrition thus restoring health. Whole body treatment focusing on the cause, not just the symptoms! Now available for 1 or 2 hour appointments. Contact Marcia for more information or to schedule an appointment. Don't see anyone in your area? You can recommend a visiting home myofascial release therapist! Myofascial Therapists Advertise With Us.